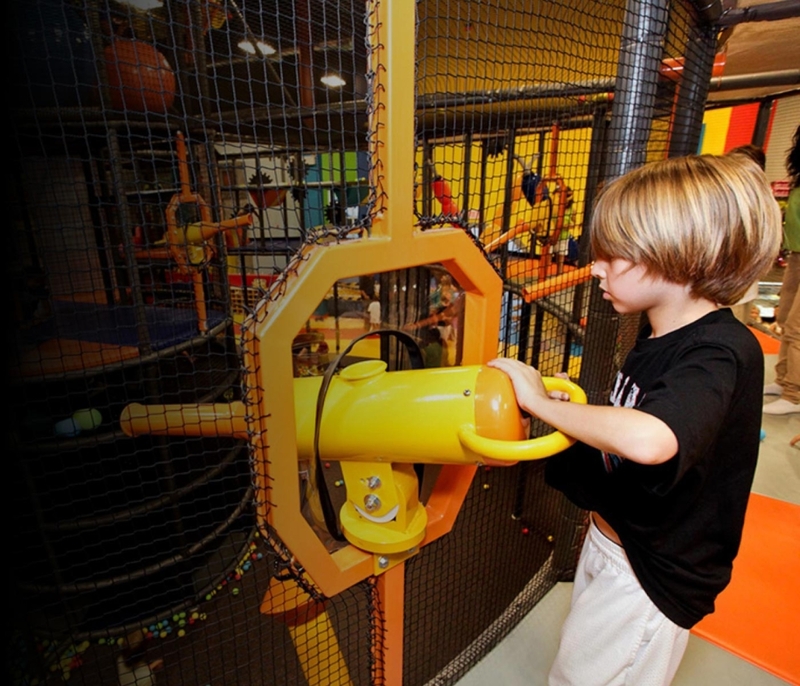 Let your kids “have a ball” at Ballocity! This interactive, soft climbing structure offers three stories of running, ducking, climbing, crawling, dodging, and sliding fun! Our Ballocity features a series of slides, climbing tubes, platforms, foam ball-launchers, and much more that kids are sure to love! With games and other fun activities, there are limitless ways for kids to enjoy Ballocity and immerse themselves in the play world! Ballocity is for kid’s twelve and under. Socks are required in Ballocity.